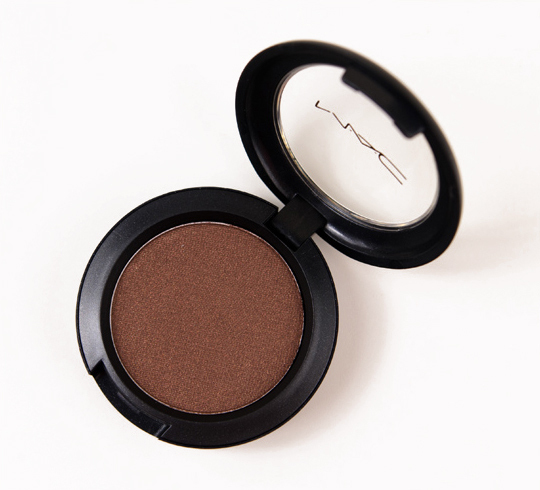 MAC Pro Longwear Eyeshadow ($20.00 for 0.11 oz.) 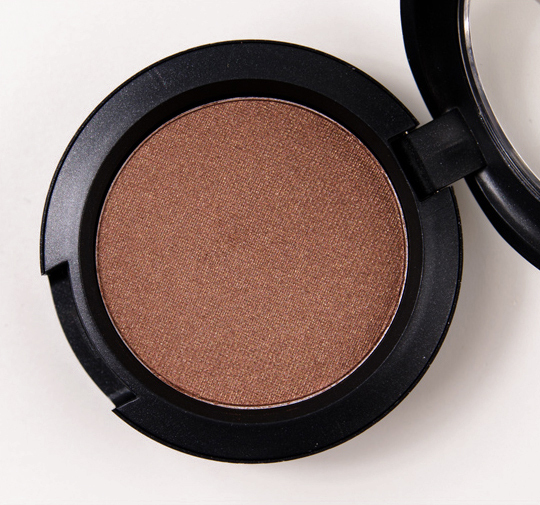 is supposed to wear for eight hours with a “silky, creamy texture” that yields “maximum color impact.” It’s also designed to be blendable and buildable. 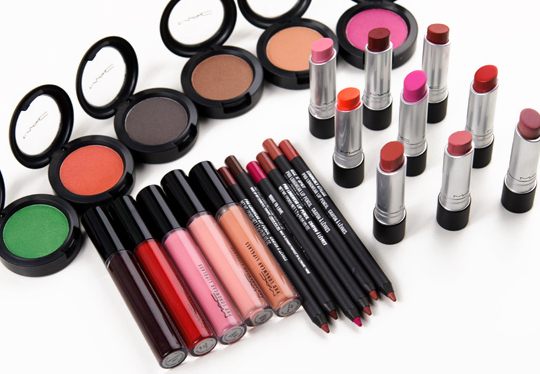 As a reviewer, I am endlessly pleased that MAC gave definite wear times on these–it’s so much easier to assess whether the product was successful! There a whopping sixteen shades released in MAC Styledriven, and because of the amount of photos, I’ve split them over three parts. This second part includes: Lie Low (dark frosted golden brown), Make Your Mark (dark chocolate), One to Watch (light warm brown), Pink Frontier (soft golden pink), and Plush (vivid purple). 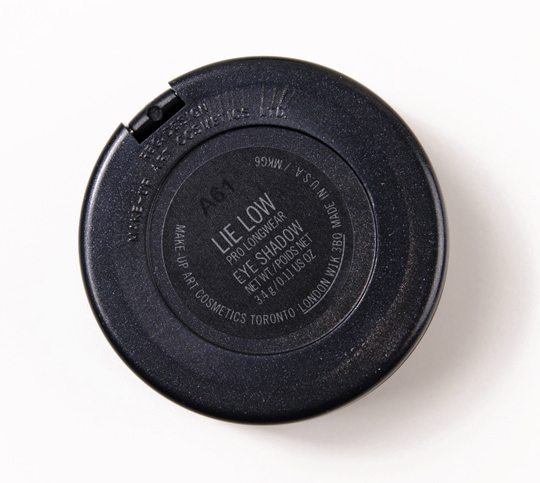 Lie Low is a warm-toned, medium-dark brown with orange undertones. This has a frost finish, but it reads more satiny than frosty. 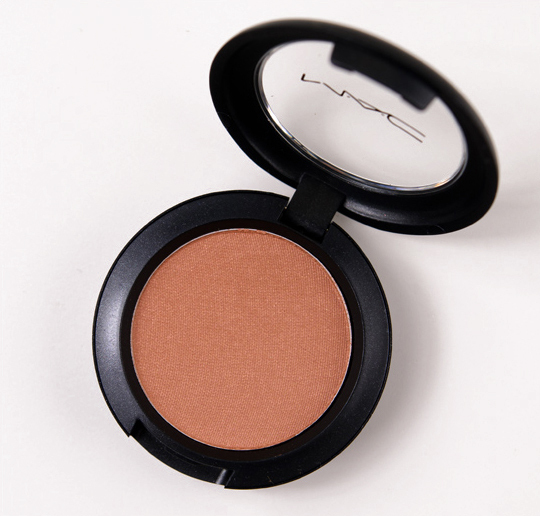 It has good color payoff and the texture is soft without being powdery. 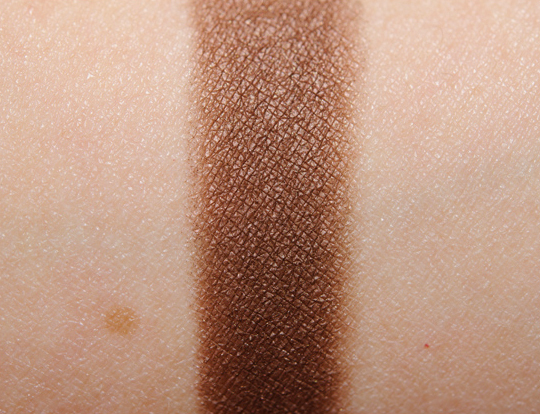 Bare Escentuals Truth is a touch darker. 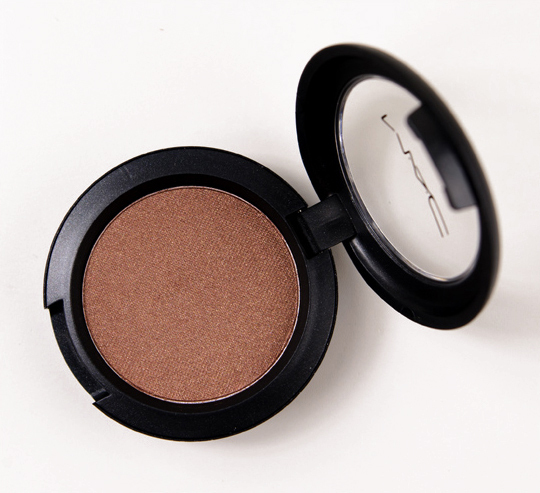 MAC Texture is very similar, perhaps a little warmer. 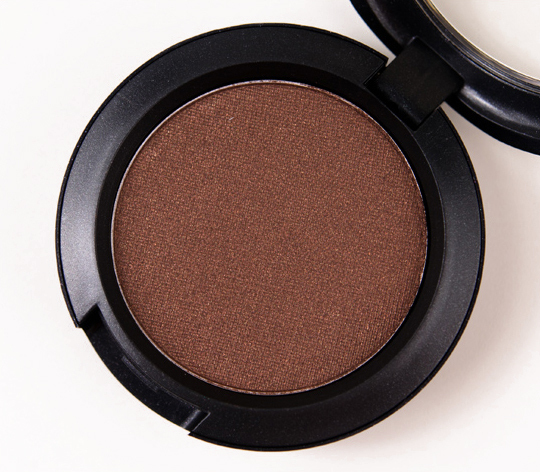 Make Your Mark is a subtly warm-toned, dark brown. This has a satin finish and has decent color payoff but is on the drier side. 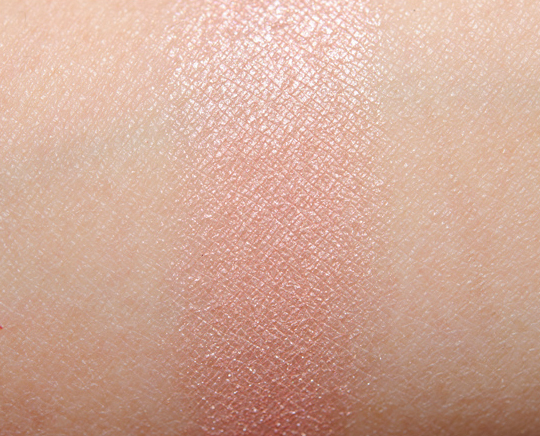 Bare Escentuals Truth is redder in comparison. Laura Mercier Cedar is more intense. MAC Swiss Chocolate and Inglot #327 are matte but similar. 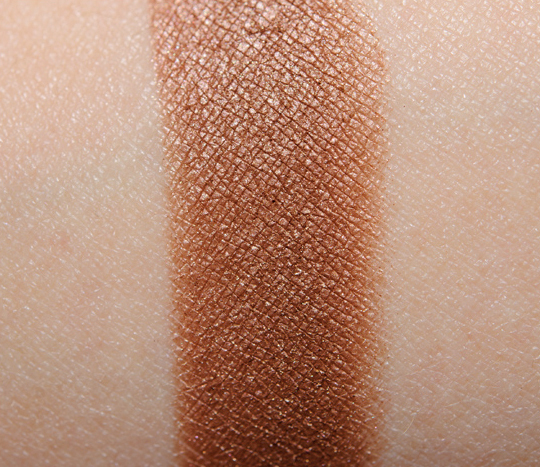 Milani Rich Java is slightly darker. One to Watch is a softened, medium-dark peach-orange. 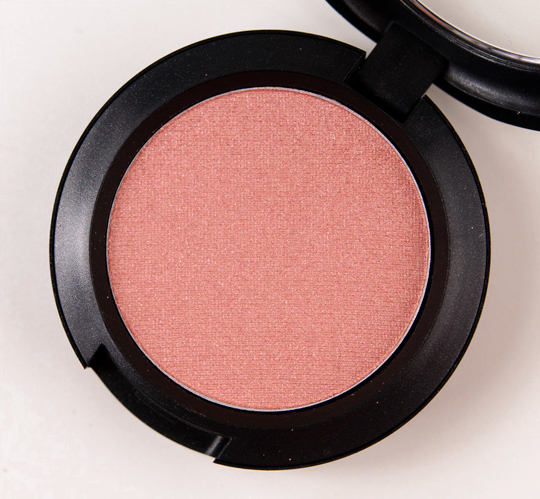 This has a satin finish with decent pigmentation but a powdery texture. MAC Tete-a-Tint is slightly darker, less peach. 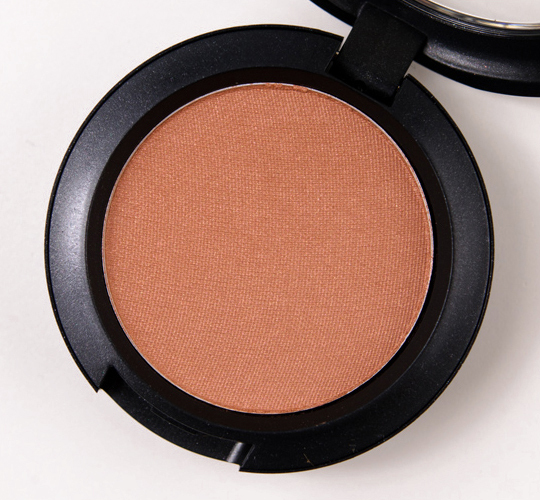 It is very similar in color to Bobbi Brown Terracotta. 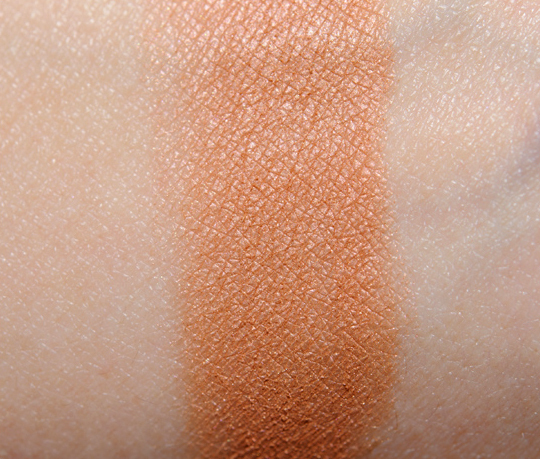 Bare Escentuals Fire is deeper and darker. 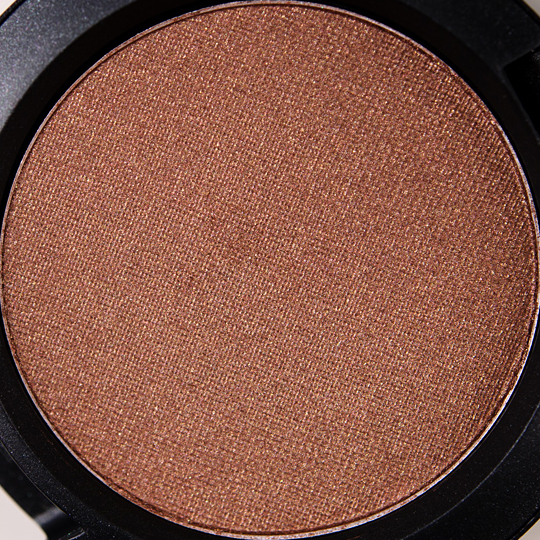 Inglot #368 is more orange. 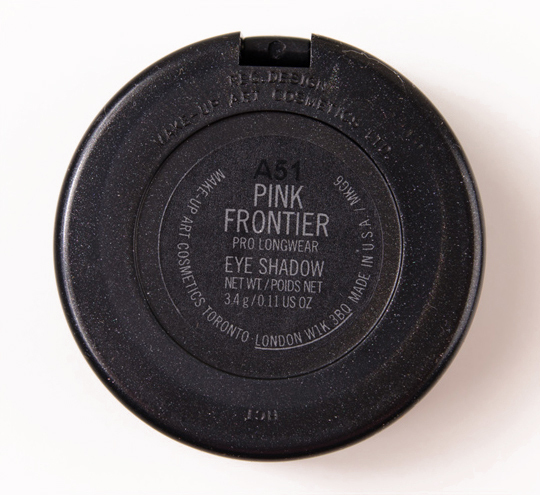 Pink Frontier is a soft, warmed-over pink. This has a frost finish, but it’s a bit on the sheer side. The finish is one of the more metallic ones of the bunch. 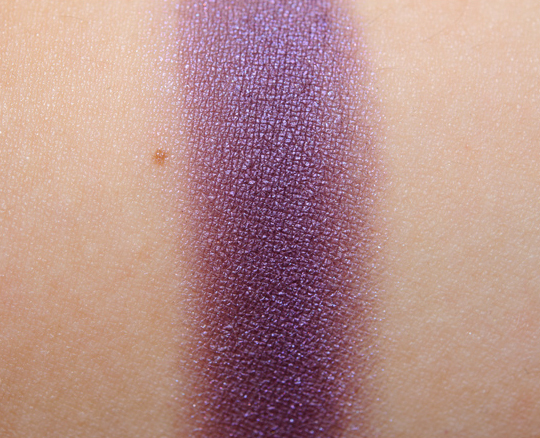 It is similar to Urban Decay Scratch. It is pinker than theBalm Luscious Lani. 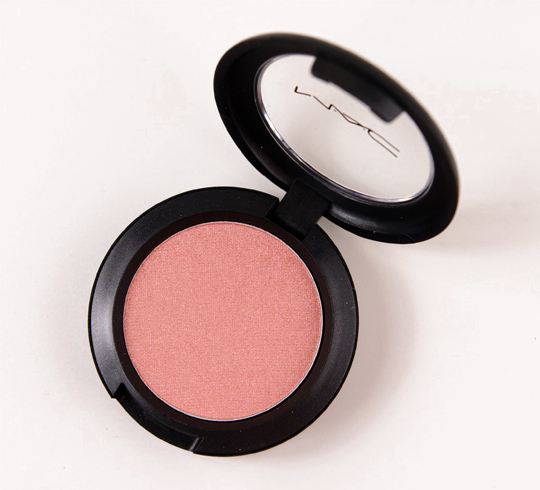 It’s a slightly pinker version of MAC Nubile is powder form. 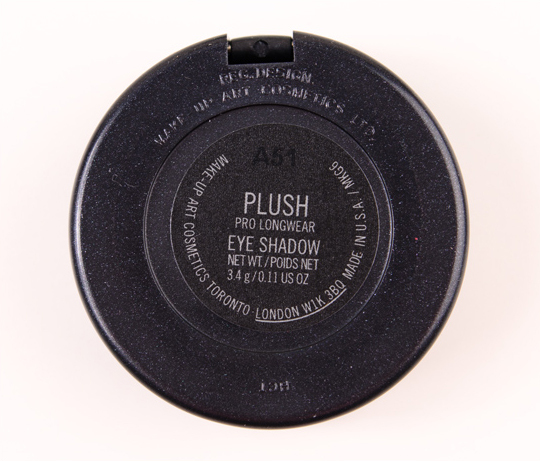 It is similar to MAC Hush. Plush is a grape purple with subtle red undertones. 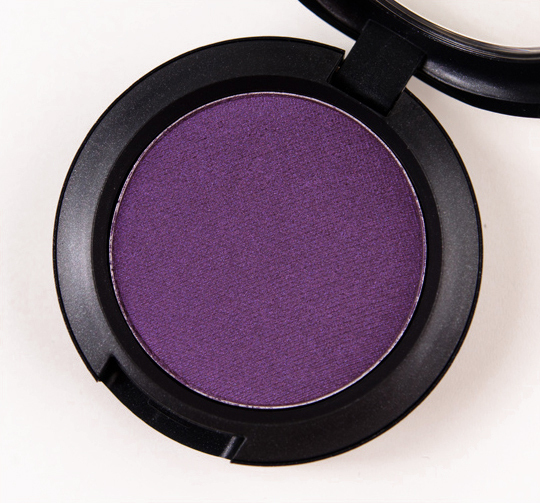 This has a satin finish with decent color payoff but it could stand to be a little more intense (so it would be more in line with how it appears in the pan). It’s not as red as MAC Half-Wild but redder than Make Up For Ever #142. 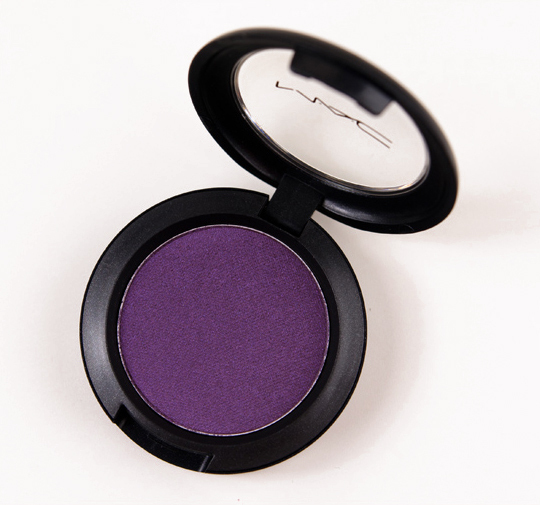 It’s not as intense or as deep as MAC Grape. I don’t normally go for browns, but I want two here. Whoa Pink Frontier is much lighter in swatch than I expected, but it’s still so delicate and pretty 🙂 Plush is definitely my kind of purple! At least these are not limited edition (with all the collections coming up lately i’m broke! ), but I have to say I don’t see any must-haves for me. Pink Frontier will be mine! *yawn* these colors just aren’t anything special. I love the neutral shades. These all look really pretty. are these new shadows going to be permanent? 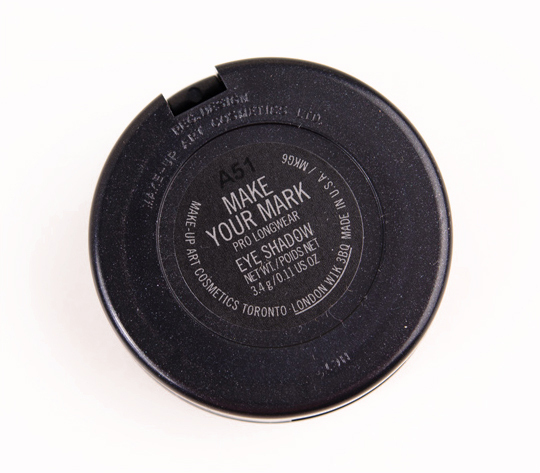 Do you know of a dupe of the pro longwear eyeshadow in Make Your Mark? 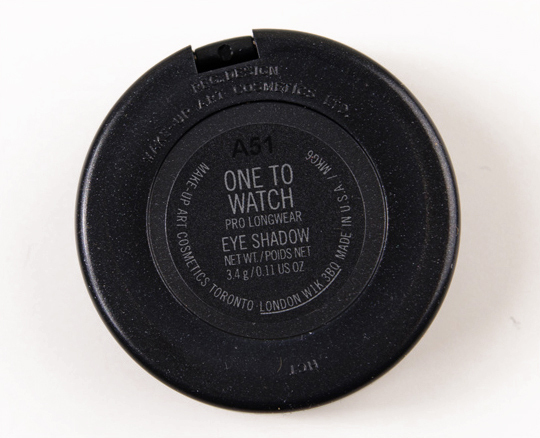 Or were the other shades you listed from other brands the possible dupes? Thanks!! The ones listed were the only ones I could think of!